Draft: 2011, Kansas City Royals, 24th rd. Pitching Change: Spencer Patton replaces Carl Edwards Jr. , batting 9th. Scooter Gennett hit by pitch. Manny Pina to 3rd. Jonathan Villar to 2nd. 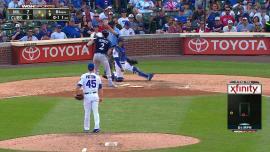 Ryan Braun reaches on a force attempt, throwing error by third baseman Chris Coghlan. Kirk Nieuwenhuis to 3rd. 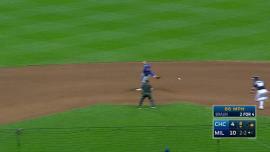 Ryan Braun to 2nd. 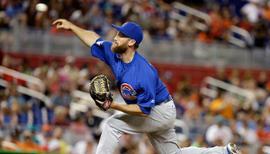 November 17, 2016 Chicago Cubs released RHP Spencer Patton. November 3, 2016 Chicago Cubs activated RHP Spencer Patton. October 7, 2016 Chicago Cubs reassigned RHP Spencer Patton to the minor leagues. September 6, 2016 Chicago Cubs recalled RHP Spencer Patton from Iowa Cubs. August 31, 2016 Chicago Cubs optioned RHP Spencer Patton to Iowa Cubs. August 17, 2016 Chicago Cubs recalled Spencer Patton from Iowa Cubs. August 2, 2016 Chicago Cubs optioned RHP Spencer Patton to Iowa Cubs. August 1, 2016 Chicago Cubs recalled Spencer Patton from Iowa Cubs. July 22, 2016 Chicago Cubs optioned Spencer Patton to Iowa Cubs. July 21, 2016 Chicago Cubs optioned RHP Spencer Patton to Iowa Cubs. June 21, 2016 Chicago Cubs recalled Spencer Patton from Iowa Cubs. May 8, 2016 Chicago Cubs optioned RHP Spencer Patton to Iowa Cubs. May 5, 2016 Chicago Cubs recalled Spencer Patton from Iowa Cubs. March 28, 2016 Chicago Cubs optioned RHP Spencer Patton to Iowa Cubs. January 14, 2016 RHP Spencer Patton assigned to Estrellas de Oriente. December 28, 2015 RHP Spencer Patton assigned to Caneros de los Mochis. December 28, 2015 RHP Spencer Patton roster status changed by Caneros de los Mochis. November 20, 2015 Texas Rangers traded RHP Spencer Patton to Chicago Cubs for 2B Frandy De La Rosa. October 15, 2015 Texas Rangers activated RHP Spencer Patton. October 8, 2015 Texas Rangers reassigned RHP Spencer Patton to the minor leagues. October 4, 2015 Texas Rangers recalled RHP Spencer Patton from Round Rock Express. August 27, 2015 Texas Rangers optioned RHP Spencer Patton to Round Rock Express. June 25, 2015 Texas Rangers recalled Spencer Patton from Round Rock Express. June 11, 2015 Texas Rangers optioned RHP Spencer Patton to Round Rock Express. June 7, 2015 Texas Rangers recalled Spencer Patton from Round Rock Express. June 6, 2015 Round Rock Express placed RHP Spencer Patton on the reserve list. May 14, 2015 Texas Rangers optioned RHP Spencer Patton to Round Rock Express. May 4, 2015 Texas Rangers recalled Spencer Patton from Round Rock Express. March 23, 2015 Texas Rangers optioned RHP Spencer Patton to Round Rock Express. September 4, 2014 Texas Rangers selected the contract of Spencer Patton from Round Rock Express. July 19, 2014 RHP Spencer Patton assigned to Round Rock Express. 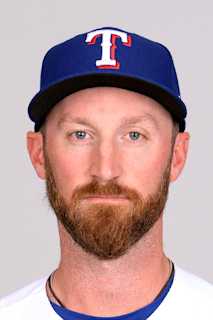 July 16, 2014 Texas Rangers traded RHP Jason Frasor to Kansas City Royals for RHP Spencer Patton. March 2, 2014 RHP Spencer Patton assigned to Kansas City Royals. December 17, 2013 Caneros de los Mochis placed RHP Spencer Patton on the 7-day disabled list retroactive to December 16, 2013. October 7, 2013 RHP Spencer Patton assigned to Caneros de los Mochis. September 4, 2013 RHP Spencer Patton assigned to Omaha Storm Chasers from Northwest Arkansas Naturals. July 24, 2013 Spencer Patton assigned to Northwest Arkansas Naturals from Wilmington Blue Rocks. June 3, 2013 Spencer Patton assigned to Wilmington Blue Rocks from Idaho Falls Chukars. May 29, 2013 Spencer Patton assigned to Idaho Falls Chukars from Wilmington Blue Rocks. March 29, 2013 Spencer Patton assigned to Wilmington Blue Rocks from Idaho Falls Chukars. June 19, 2011 Spencer Patton assigned to Idaho Falls Chukars. June 13, 2011 Kansas City Royals signed RHP Spencer Patton.